Description: It is Massachusetts, 1692. The New World is plagued with Indian wars and witch hunts. But, something more treacherous is lurking in the woods of Terras. And seventeen year old Diana Vayde is at the center of it all. 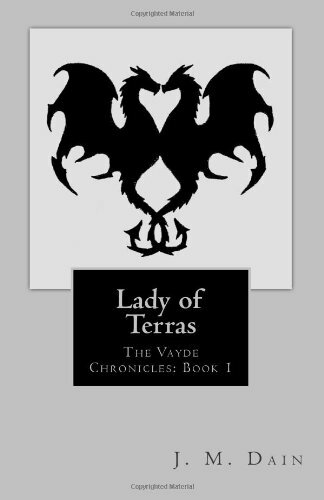 Since she was six years old, Diana's uncle has governed the small village of Terras with an iron fist. His most recent decree is that all young women must marry before they turn eighteen, or he will choose a husband for them. With her eighteenth birthday drawing near, Diana must decide whether to marry her childhood friend or leave Terras. When she discovers information about her family heritage, Diana embarks on a journey that threatens everything her uncle has tried to accomplish. With The Lady of Terras, J.M. Dain offers up a incredibly unique storyline with an intriguing setting and a gaggle of memorable characters. It takes a little while to get into the main storyline, which causes a bit of a focus problem. I wasn’t exactly sure where the story was going, whether or not there was really magic at play or not. Then, when we do get some information on the fantastic elements, the descriptions/explanations are sometimes too lengthy and it is difficult to remain focused. I understand why they are necessary, but I still found that my mind had a tendency to wander. That being said, I still enjoyed it in its entirety. Although the overall focus was not always clear and descriptions could be too long, I still enjoyed the story. When things would get rolling, the plot was incredibly exciting. I was also constantly captivated by the characters and their interactions amongst one another. The characters are all charming and likable in their own way. I was particularly fond of the heroine, Diana. She was incredibly headstrong and fiercely independent – an absolute pistol (most of the time). Once she fell in love, her personality shifted a bit, but in the long run, she remains true to herself. I will be honest; because of the personality change in the middle of the book, at times I found it difficult to stomach her. Thankfully, Dain returns Diana to her full glory by the last fourth of the book. she once again finds her backbone and once again begins to stand up for herself. I have to say, Dain did a marvelous job crafting the so called “bad guys”. I cannot remember when I had stronger feelings about the villains than I did with The Lady of Terras. I do not want to give too much of the storyline away, because the identity of the villains are revealed throughout the entire story, but just let me say this – I hated one them from the word go. The particular person rubbed me wrong from the beginning and just made my inner feminist want to claw their eyes out. So, kudos to Dain for stirring up such a reaction in me. Speaking of reactions, I also had an incredibly strong one about the ending. I was enjoying myself beautifully, right up until the point when the author thought it would be prudent to kill off my favorite character. Now, I am sure that this particular plot twist will impact the story in some profound way, but I still had to console myself. I honestly did not see this coming and it forced me to leave the story with a rather grave feeling. After finishing the book, I really had to sit and contemplate how I felt about the story as a whole. Did I enjoy it? Yes. Did it have a interesting plot? Yes. Did I like the characters? Yes, again. It’s just that the ending left me with such heartbreak that I had a hard time getting past it. I spent so much time investing in that particular character, that their death came as an incredible shock. 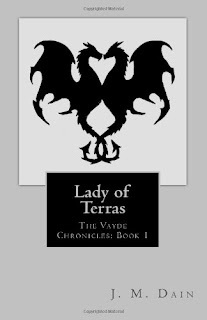 But, once I forced myself to calm down and take everything into account, The Lady of Terras was a great book. 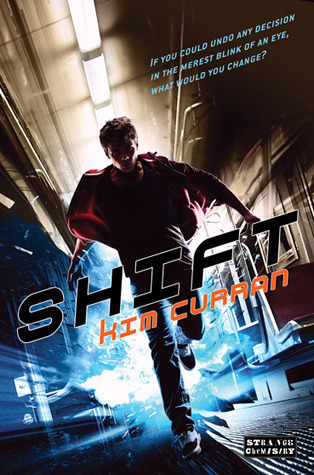 I will be reading the sequel and secretly praying for the return of my favorite character. I know it is rather doubtful, but hey, a girl can hope. "The footsteps stopped and a man yelled back, "Who goes there?" "I goes there." Diana shouted back." "When Mr. Onder was done rambling, they left the building quickly and darted across town to participate in their own drunken "heretical" reveling." "Yahmka was eighteen, a few months older than Diana, and like Diana had no interest in being a prissy husband-seeker." "She decided that if she was going to give Toby a chance, the first thing she should do was give his rolls a chance." "She wrapped her blanket tightly around her body and quietly left her room. She tip-toed across the hall to Finn's room and crept inside, closing the door silently behind her. When she reached the sdie of his bed, he held up his blanket for her without opening his eyes as if he was expecting her. Diana snuggled in next to him." "Toby rolled his eyes. "You will one day. You will fall madly in love and get incredibly silly about it and you will get married." "Oh yes. Aside from the crazy man running the village over yonder and killer bat-wolves invading the area, I find it rather like Eden."